(HealthDay News) -- For patients with early-stage breast cancer treated with aromatase inhibitors (AIs), arthralgia is improved with omega-3 fatty acid (O3-FA) treatment and with placebo, according to a study published online May 4 in the Journal of Clinical Oncology. Dawn L. Hershman, M.D., from the Columbia University Medical Center in New York City, and colleagues randomized 249 women with early-stage breast cancer receiving an AI who had a worst joint pain/stiffness score of ≥5 of 10 using the Brief Pain Inventory-Short Form (BPI-SF) to receive O3-FAs (122 patients) or placebo (127 patients) for 24 weeks. Patients completed quality-of-life and additional pain and stiffness assessments at baseline and at weeks six, 12, and 24. The researchers found that the mean observed BPI-SF score decreased by 1.74 and 2.22 points at 12 and 24 weeks, respectively, with O3-FAs, and by 1.49 and 1.81 points, respectively, with placebo, compared with baseline. Twelve-week BPI-SF scores did not differ by arm (P = 0.58) after adjustment for baseline score, osteoarthritis, and taxane use. In patients receiving O3-FA treatment, triglyceride levels decreased, while they remained stable for patients receiving placebo (P = 0.01). 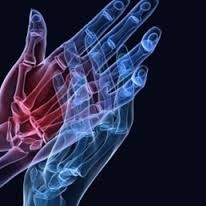 "We found no evidence that O3-FAs improved joint pain or stiffness associated with AIs any more than placebo; however, we did find a large reduction in symptoms in both the treatment and placebo groups," the authors write. Several authors disclosed financial ties to the pharmaceutical and biopharmaceutical industries.